If you’ve been keeping up with the Top 100, it should be little surprise that I’m a fan of young adult fiction in all media. I’m a sucker for coming of age stories — particularly thoughtful, male-oriented (or otherwise non-girly) stories. It’s normal for 26 year-olds to enjoy this type of show… Right? Guys? Second, YA stories are usually about finding identity. I firmly believe that dissociation of self — the struggle to find an identity and to perceive an identity in others — is THE modern dilemma. And coming-of-age stories are about the formation of identity. These stories are about people trying to figure out what they will become for the rest of their lives, and experiencing everything in a new, adult context. It makes for rich, conflict-filled fiction. But I maintain that a well-done coming of age story is probably the most important type of story you can tell. It’s also, often, my FAVORITE type of story. This prelude is a long-winded way of introducing the writer who — based on my fairly intense sampling of contemporary teen-oriented stories from the past twenty years — is the best at translating the complexity and intensity of teenage existence into profound literary and existential terms while still entertaining readers. 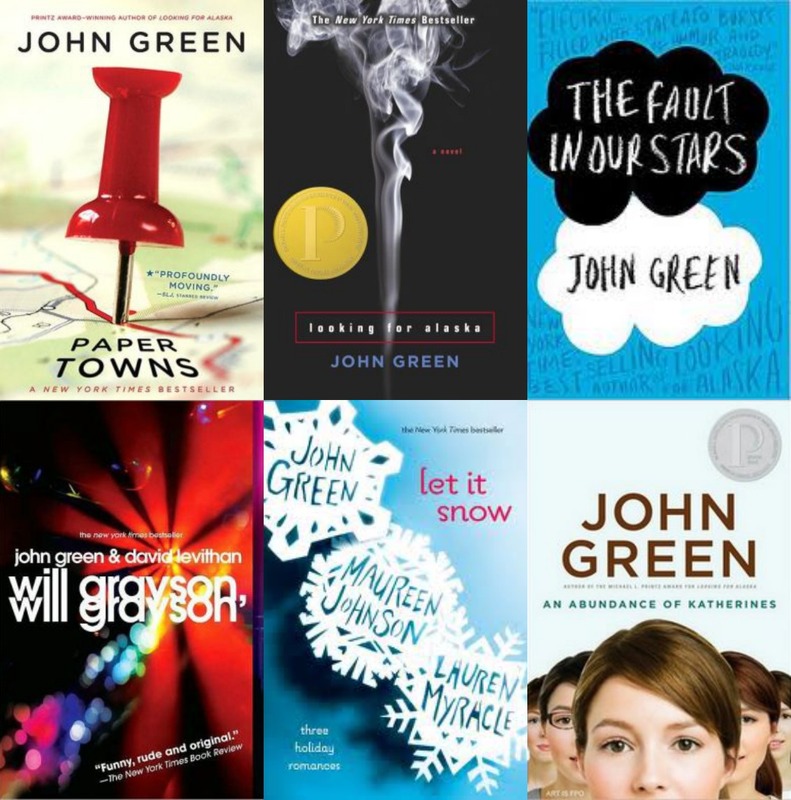 John Green takes many of the emotions and struggles of youth, and turns it into something compelling for all ages. Green is a brilliant thinker and storyteller. His prose is compulsively enjoyable, funny and rhythmic and suspenseful. His characters almost always have depth and shading. His stories are usually fun and always thoughtful. Nobody in writing right now can turn a better phrase than him. 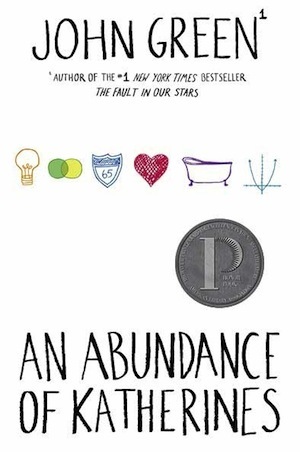 Simply, if you’re interested in YA lit, you should be reading John Green. Whether or not you know it, you’re probably at least vaguely aware of Green. The adaptation of his fourth and most recent novel, The Fault in Our Stars, was a summer box office hit. The book itself was (according to Amazon) the #65 most popular book in the world in 2012, #13 most popular in 2013, and is basically a lock to be the #1 most popular book of 2014. TFiOS turned Green from a cult hero for YA nerds like me to a certified superstar. But Green’s career as an author is now almost a decade old. He’s written four novels, co-written another, and contributed a novella to another. Let’s walk through these six works and consider some of their strengths and weaknesses. Green’s first novel won a Printz Award (the YA equivalent of the Newbery), and also a fair share of headlines thanks to some school counties banning it. It’s a moronic book to ban, as its message is ultimately an affirming one, but I can see why it rubs some people the wrong way: these teens have sailors’ mouths, smoke, drink, and — in general — self-destruct. The story covers Miles Halter’s freshman year at a boarding school. It’s a blend of youthful hijinks and philosophical ponderings, all seamlessly flowing together. The book is fantastic, though a bit long, getting bogged down towards the end of the story as it spirals to its inevitable conclusion. But… damn. The first half of this novel is probably my favorite thing Green has written. It’s richly detailed and lived-in, giving characters depth and personality. This is a feisty, joyful story for half its duration, every sentence a delight. Nobody turns a phrase quite like John Green — from his Tumblr-famous “I was drizzle and she was a hurricane” passage to his description of “bufriedos” (deep fried burritos). It is my dream to write a passage as wonderful and exciting as the prank weekend chapter. Every story I write will contain a scene of characters sitting around and telling stories, because the section of Looking For Alaska where the characters sit around, drink wine, and share their “best day-worst days” is unassailable: enrapturing, fun, and full of character development. Everything that happens after the “big twist” foreshadowed from the first page? Less effective for me. It tries to be a mystery when Green had just given you the answer one chapter earlier. Green’s prose makes it all go down smoothly, but I finished LFA by telling myself that I’d just read the first half of the book from now on. Colin Singleton is a former child prodigy who only dates girls named Katherine (of which there have been nineteen). He goes on a summer road trip with his best friend Hassan, who is probably my favorite character in the Green oeuvre. Snarky, complicated, Muslim, and obsessed with Judge Judy, Hassan is the spiritual guide to the reluctant Colin. Hassan and Colin end up in a town called Gutshot, Tennessee. As he encounters his new setting, Colin tries to get over his nineteenth Katherine breakup while figuring out a mathematical model to predict how long future Katherine relationships will last. The pair of them, along with Gutshot teen Lindsey Lee, come face to face with Gutshot’s incresingly grim prospects (a nice parallel to Colin, who believes he’s washed up). And it all builds to the type of climax that you always hope to encounter in books, a hilarious and tense sequence that ties several threads together like a great Seinfeld episode. The quiet, romantic moments that follow it are just as effective. Like all of Green’s work, it thrums in thematic harmony and complexity of thought. But unlike most of Green’s other books, this is a mostly silly and light affair; it’s a brisk and entertaining read. My biggest nitpick with AAoK: Green’s attempt at including actual math to back up Colin’s attempt to find the “Unified Theory of Katherines” is complete hokum, totally distracting and bothersome (and obviously not written by a mathematician). Fortunately, it’s easy to quickly skip over those parts. This is probably my #1 guilty pleasure book. I’ve read it a good four or five times, and I read it whenever I’m feeling sick or bummed out or have just read something sad. It hits all the checkmarks for my favorite kind of quick story: great, witty characters; thoughtful narrator; holiday cheer; good sense of goofy adventure; and an in-love-with-a-best-friend story. Tobin is enjoying Christmas Eve at his house with his two best friends, JP and The Duke. They get a call that a bunch of cheerleaders are snowed into a Waffle House with their friend. JP and Tobin spend the rest of the story slobbering over this horny fantasy come to life, while The Duke (a female), spends the rest of the story deconstructing the sexism of society’s cheerleader fetish. Their journey to the Waffle House through snow drifts, racing against equally horny guys to get to the cheerleaders, is the greatest literary quest story since The Odyssey. Okay, that’s a stretch, but it’s a hell of a lot of fun. The ending is predictable, sweet, and completely satisfying. Green is in heavy comedy mode all through A Cheertastic Christmas Miracle; for someone known for his cancer drama novel, Green’s comic phrasing and timing is impeccable. Ostensibly, a major theme of Looking For Alaska is the deconstruction of the “manic pixie dream girl.” Of course, most people missed that the first time around, what with giddy first half of the book, the heavy second half of the book, and a twist that undercut Green’s ability to really make his point. So, with Paper Towns, Green put a laser focus on that specific theme — that people, even pretty girls, are complex and multitudinous, not simple things that we can project simple images onto. 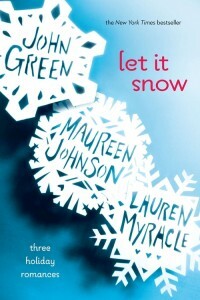 And the result is probably my favorite novel by Green yet. Again, his knack for great openings shines: the nighttime suburban rampage between quiet Quentin and wild Margo is absolutely electric. But unlike Alaska, Towns sticks the landing, with a truly great and thought-provoking ending, full of both revelations and ambiguity. 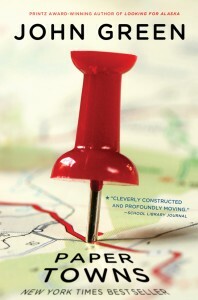 The book thoughtfully explores the different meanings of the phrase “paper towns” as Quentin becomes obsessed with finding Margo. And its philosophy digs deep: The three sections of the book (“Strings”, “Grass”, and “Vessels”) consider how objects essential to the plot are metaphors for the complexity of life. As with all of Green’s writing, the prose is sharp and funny, never dawdling too long but never missing out crucial details. This is one I’ll be reading for a long time. For me, this is easily Green’s weakest novel. There are a few problems. 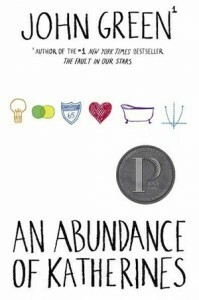 First, even though I love David Levithan (his Every Day is one of the top ten YA novels of the past decade), alternating back and forth between his writing and Green’s makes Levithan’s bitter, dry prose seem particularly unpalatable. Second, the plot reads like it was invented on the fly. I’m sure it was a fun writing exercise, but as a final product, it felt unfocused in an unsatisfying way. The ending is really dumb, in my opinion. But there’s still plenty of charm here. Green, as always, writes the crap out of his scenes. My favorite part of the book is the way it captured the roller coaster of teenage existence: everyone has their share of highs and lows, and the Green and Levithan never let their characters off easily. The story is about two boys named Will Grayson whose paths cross in an unexpected way, and who inadvertently alter each other’s lives. It’s a quick, often funny read, but still something of a disappointment. When I read Todd VanDerWerff’s glowing review of The Fault in Our Stars upon the book’s release in 2012, I was intrigued. 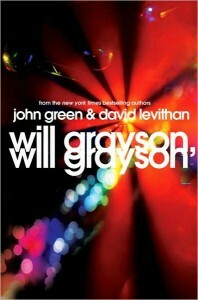 I’d never read anything by Green before, but the book sounded intriguing. My wife’s friend lent me the book, and I whizzed through it in two sittings, reading about half the book in each sitting. After the first half of the book, I was still somewhat skeptical. I IM’ed the person who lent me the book and told her that it read as “a girly version of It’s Kind of a Funny Story.” But, to quote Green, “as [I] read, I fell in love the way you fall asleep: slowly, then all at once.” I was a puddle of existential exasperation as I read the book’s last page. I hastily wrote four-star review of the book, but I think the most important thing you can say about TFiOS is what VanDerWerff led his review with: Any description of the book is likely to make it sound awful. Two teens with cancer fall in love and contemplate their short life expectancies. The boy tries to take the girl to Europe to meet her favorite author. Complications ensue; lessons are learned; life and death are deemed incomprehensible. But I must stress: THIS BOOK IS BETTER THAN IT SOUNDS. It grapples with the cancer story stereotypes that everyone hates so much, and ends up becoming a soul-stirring rumination on impermenance. Green’s writing has grown up, and this will probably go down as his masterpiece. It’s his most philosophical novel, but it lacks just a hair of the fun and whimsy of earlier outings; the book’s comedy is saved for tragicomic moments, like when a recently blinded cancer victim rages at his ex-girlfriend. A couple of the moments and twists come across as strange — I’ve never been a fan of the Anne Frank Museum scene, and the twist towards the end uses one of my least favorite storytelling techniques (event built up to happen to one character instead happens to another) — but Green makes the whole experience work brilliantly in spite of these minor hiccups. 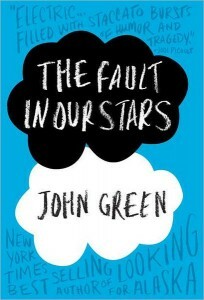 In short, The Fault in Our Stars is an immensely wise and reflective novel, penned by a genius at the peak of his craft. It’s a bit of a tearjerker, yes, but it’s also utterly unlike any other “sick kids” book you’ll ever encounter. Promise me you’ll read it, or at least give it a try. Okay? Okay. 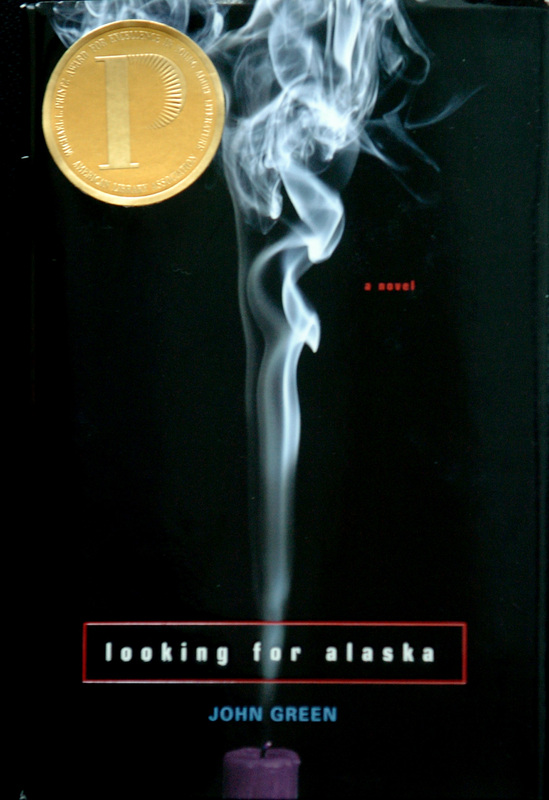 Note: This comment contains spoilers for Looking for Alaska. I’m super excited, especially if they cast Alaska correctly. Cool to hear you’ve read Green and are a YA fan also. I love Katherines, too, and my wife does even more: She says it’s her favorite book by Green. Yeah, I missed Alaska during its second half, too. Her death hit me hard (I hadn’t guessed it), but I just didn’t find its fallout very interesting. She was my favorite character in the book, probably. I’ll be looking out for that adaptation. I heard about it too. I hope they get it right! 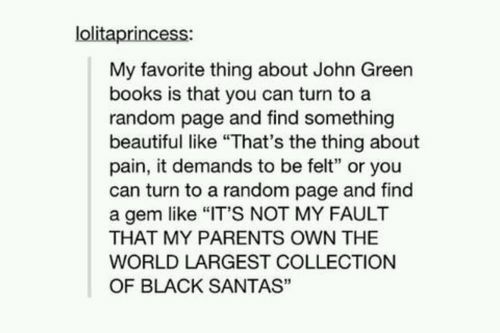 I’d really recommend Green’s other two novels, Paper Towns and Fault in Our Stars, if you ever find yourself looking for something to read. I’ve purposefully held off from watching Fault in Our Stars. I wanna read it first because I don’t want it to influence my impression on the book. Did you get a chance to see the movie? Should I definitely read the book first? Yeah, I think there’s an innate reason we’re drawn to coming-of-age tales. The time when we’re all undergoing the most change and becoming the adult form that will define us for the rest of our life – that’s a powerful situation, almost by definition, and it lends itself to compelling drama. And this sort of tale pops up more than you’d think, and more than just in ‘teen’ fare. For example, couldn’t you say that Good Will Hunting is a coming-of-age story, in the sense of Will maturing past his adolescence and figuring out what kind of adult he wants to be and what kind of life he wants to lead? The fact that he’s 24 instead of 17 in the story doesn’t nullify any of that. And it’s quite normal and acceptable for 26 year-olds to like Gossip Girl. I like this comment so much (and completely agree with it) I rewrote one of the paragraphs in the intro to this article. Thanks, excellent point. 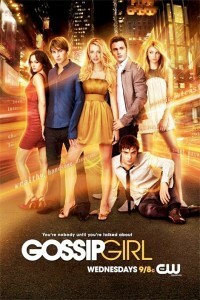 I’m part-ways through the first season of GG (is that an abbreviation fans use?). Super entertaining so far, though it’s impossible not to notice its similarities to The OC. How long does it stay good?